On October 30 Russia, Ukraine and the European Commission signed a deal that will see Moscow resume vital supplies of gas to its ex-Soviet neighbor over the winter, as well as the transit to Europe. The settlement includes a negotiated rate on future gas shipments and the settling of $3.1 billion by the end of the year out of the total $5, 3 debt owed by Ukraine. The deal concluded between Gasprom and Naftogas with the European Union acting as an intermediary has become a kind of windfall for the outgoing European Commission. «There is now no reason for people in Europe to stay cold this winter», said European Commission President Jose Manuel Barroso in a statement. Ukraine will buy gas for the rest of this year at $378 per 1,000 cubic meters, and at $365 in the first quarter of next year. These prices represented a discount of $100 according to a formula contained in the gas supply agreement dating back several years. Russia is to provide a discount during this period in the amount of $100 per 1,000 cubic meters which would allow the price for November and December to be around $378 per 1,000 cubic meters. It was also agreed that the take-or-pay mode would not be implemented during this period. The $100 discount writes off $400 million at the price of $385 or $430 million at the Brussels-agreed price of $378. Ukraine did not comply with its obligations according to the 2009 contract which presupposed take-or-pay oil-linked gas price formula. The debt for contracted but not paid for gas has reached $18, 5 billion. It continues to grow with each passing day as the contract is still in effect. 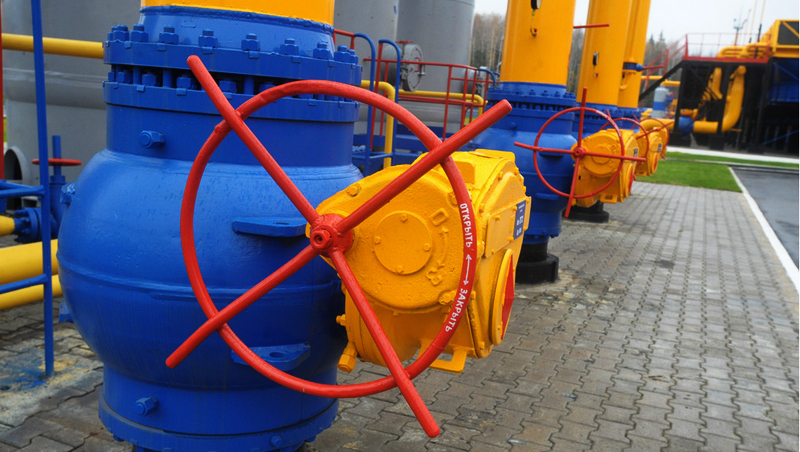 Ukraine referred claims on gas debts to the Stockholm court of international arbitration. Will Ukraine carry out its commitments this time? Neither Moscow, nor Brussels could be sure of that. The document is signed by the Ukraine’s government which is to resign soon. 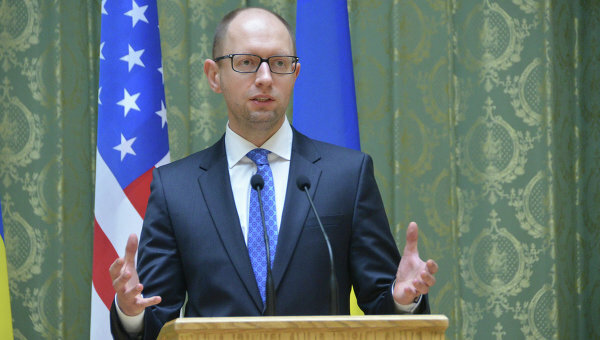 Arseniy Yatsenyuk has chances to continue holding the position of Prime Minister. Not once he was responsible for Ukraine derailing the tripartite talks constantly changing its stance and putting forward unacceptable conditions. Besides, Ukraine does not appear to be inclined to guarantee unstoppable flow of gas to Europe. Kiev has other priorities. EU Energy Commissar Gunter Oettinger has said Ukraine prefers to spend international aid for military purposes. According to President Petro Poroshenko, Ukraine spends about $5, 2 million daily on the anti-terrorist operation in the Donbass. The combat actions cost $ 938 million in 180 days – around a third of what is needed to pay for gas supplies. The military expenditure is to grow in near future. It takes about $9 thousand to equip one soldier in winter. 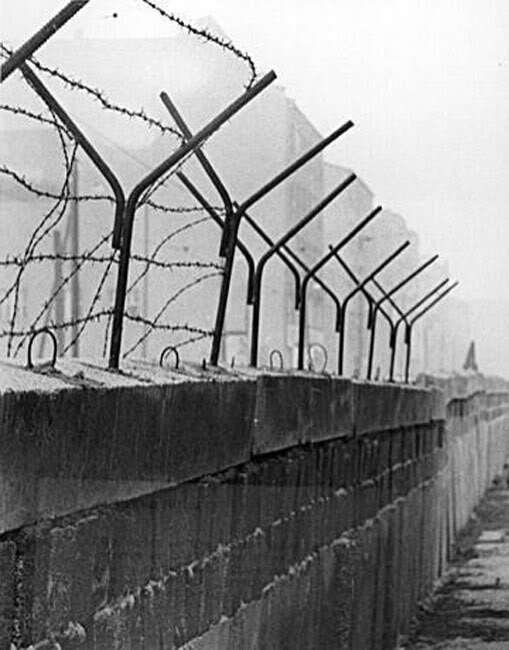 Ukraine has found money for building the wall at the Russian border. The cabinet has allocated $6, 6 million for the purpose. A monument commemorating the victims of Holodomor is being built in the United States. Ukraine finds means for everything except its international obligations. Note: The idea to build the impenetrable wall is lobbied by Prime Minister Arseniy Yatsenyuk, the creature of the United States. The project requires enormous expenditure. Yatsenyuk believes the idea of dividing Russian living in Ukraine and the Russian Federation will be supported by the West. The European Commission has shied away from making itself responsible for payments by Kiev. It has just made a contribution through the International Monetary Fund. The EU signature only confirmed the validity of the reached gas deal providing no guarantees on its part. The Brussels policy makes one believe gas has little importance for the EU. No matter open blackmail on the part of Ukraine and threats to stop supplies, the EU has not so far taken a decision to use the OPAL pipeline at the full capacity. It has not lifted restrictions of the South Stream construction. At that Europe continues reverse gas supplies to Ukraine. Yatsenyuk says Ukraine has substituted 60% of Russia-supplied gas with the energy delivered from Europe adding that, no matter the Russia’s blackmail, «European friends» have not refused to lend a helping hand. The list of «friends» includes Slovakia which 100% depends on Russian gas while selling 24-26 million cubic meters to Ukraine daily. Actually the October 30 deal has only postponed till March 2015 the final solution of the burning problem related to Ukrainian transit. The Brussels’ agreement gave Europe extra breathing space. Hardly will European taxpayers agree to constantly shoulder the burden of Ukrainian debt with no end in sight to the payments. It was a tall order to reach the October 30 Brussels accords. The European Union starts to realize that there is a weak link in the Russia-Ukraine-EU format. Even the staunchest supporters of Kiev begin to get exasperated with it. Meeting German Chancellor Angela Merkel Slovakian Prime Minister Robert Fico pointed out that Ukraine pins hopes on everyone but itself while tackling the problems. «We have taken on our part of the responsibility by ensuring the so-called Reverse flow of gas into Ukraine. But this is not going to work with Ukraine expecting everybody [except itself to help find a solution] for the Ukrainian problem», Fico said. The leaders of Romania and Poland also expressed their frustration over Ukraine. Chancellor Merkel has been trying to help Kiev with gas burden for half a year. She has warned that Ukraine may be left without reverse supplies because Europe needs the gas for itself.